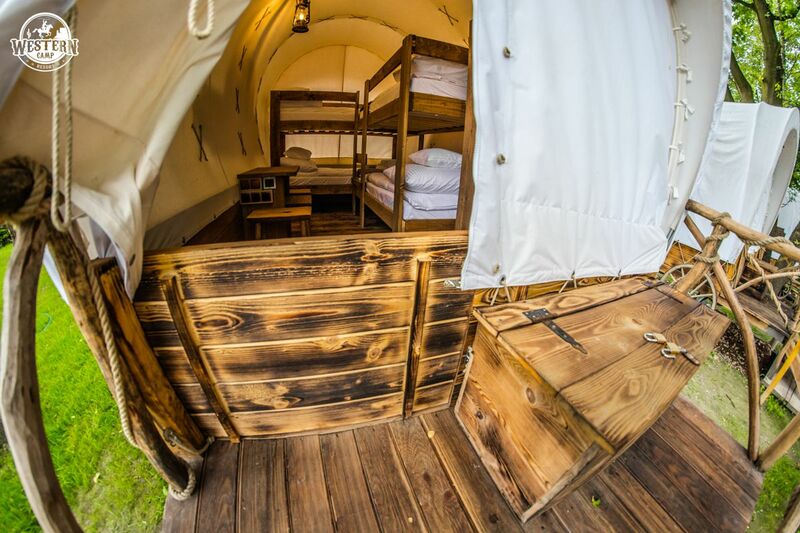 Feel the way the first settlers felt and discover the Wild West! 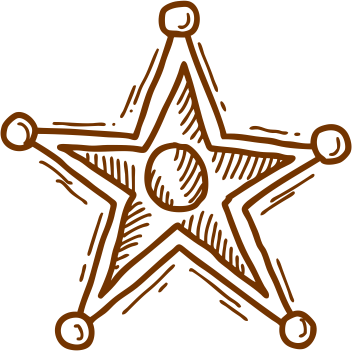 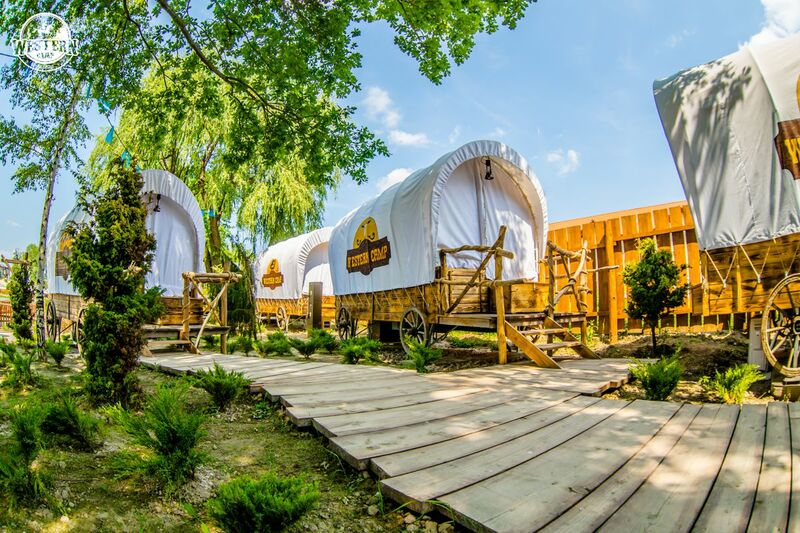 Discover the Wild West with the first settlers! 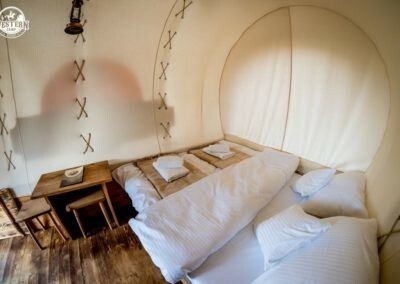 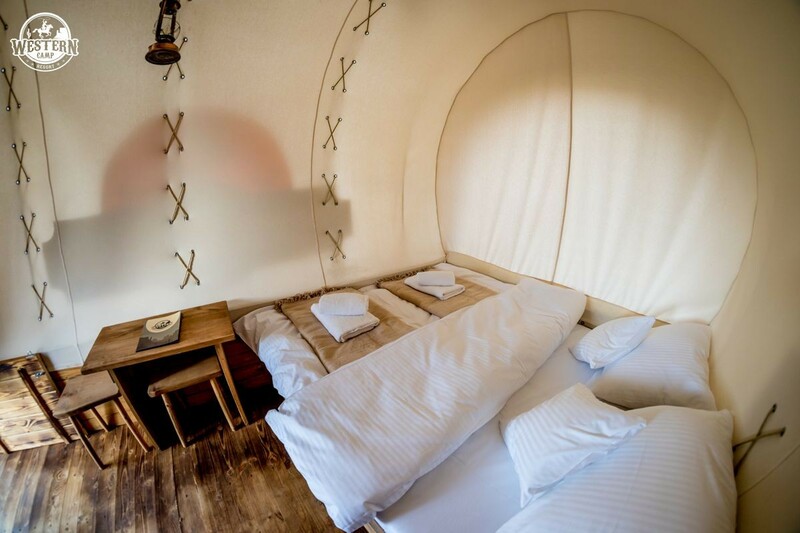 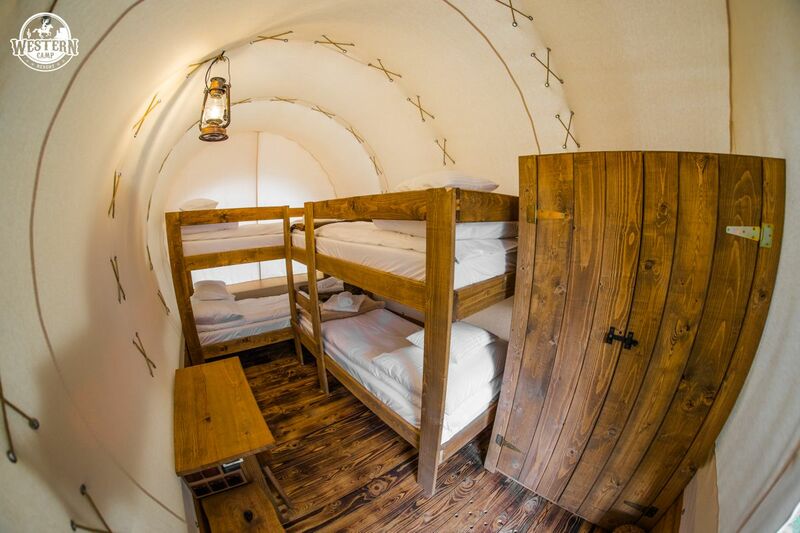 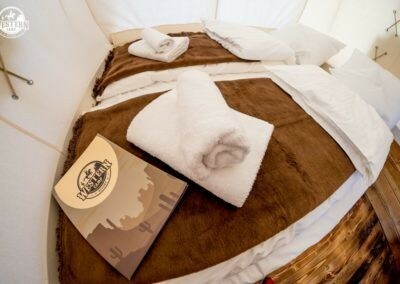 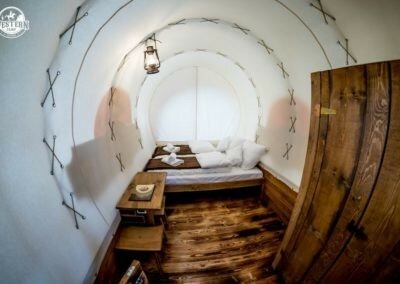 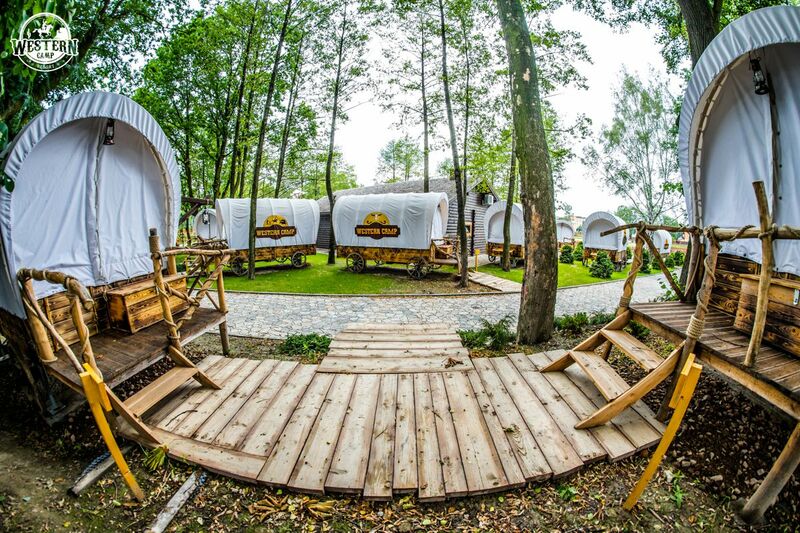 Guests visiting our village have a unique chance to spend a night in one of the real cowboy wagons. 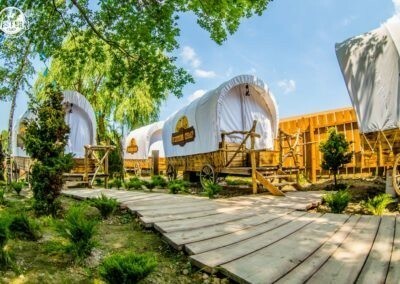 The arrangement refers to the classic pioneer wagons -exactly those that you could see in the Wild West. 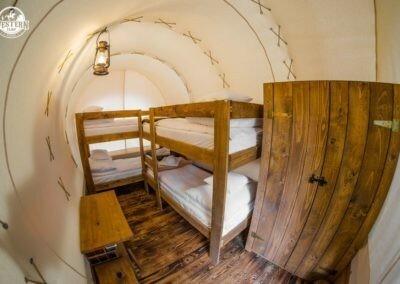 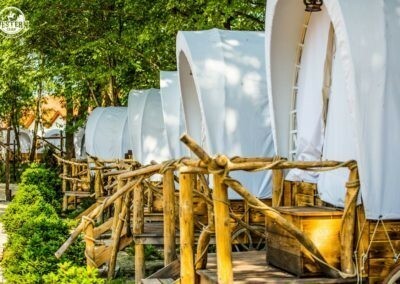 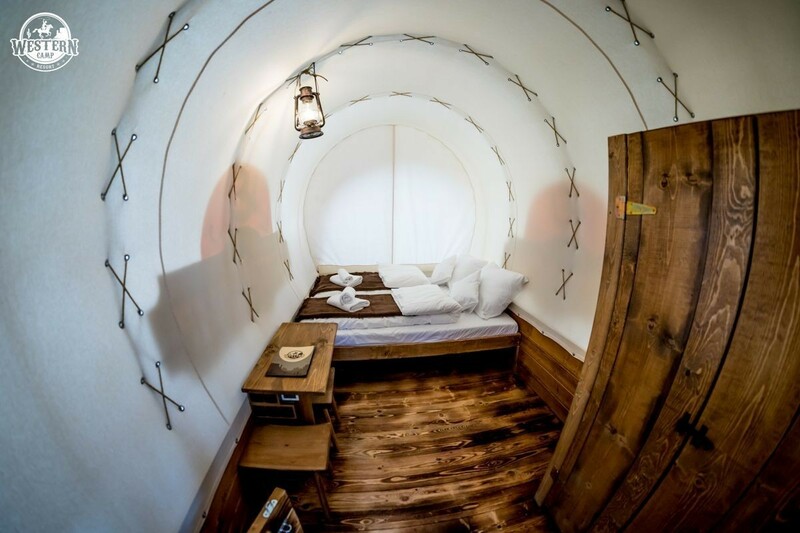 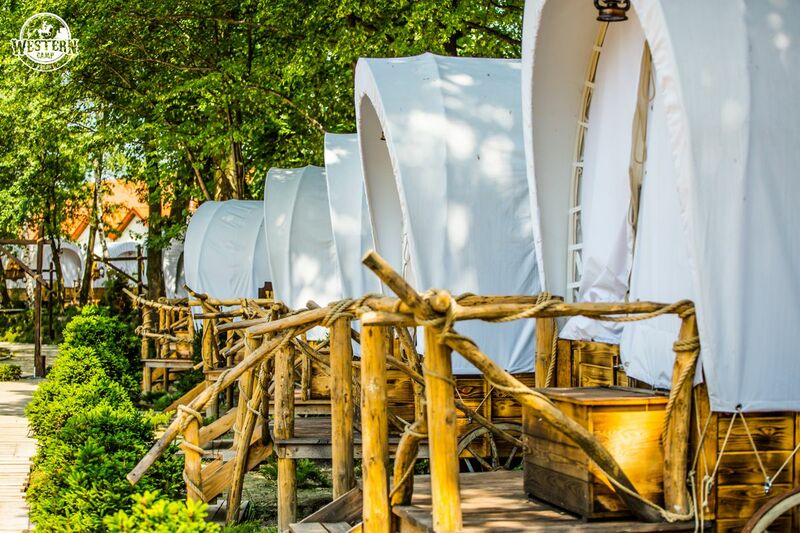 The design of the wagons perfectly matches the style of the whole village, and their comfortable equipment will satisfy the needs of even the most demanding guests. 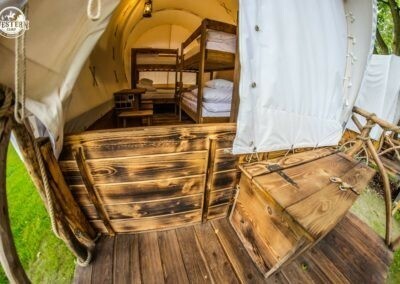 A night spent in a cowboy wagon will surely be remembered for a long time. 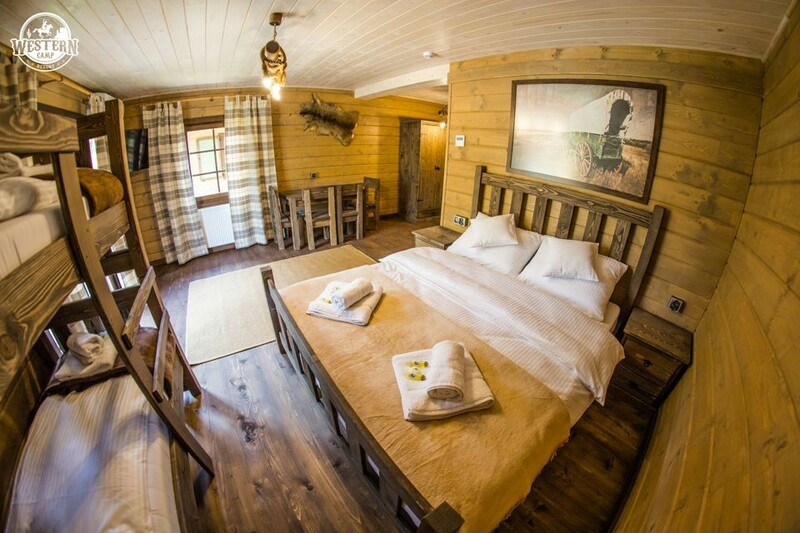 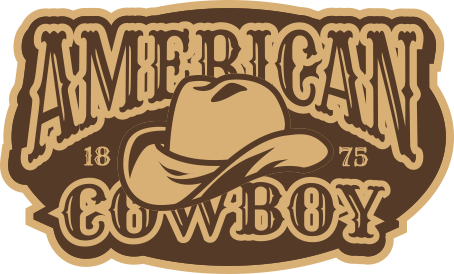 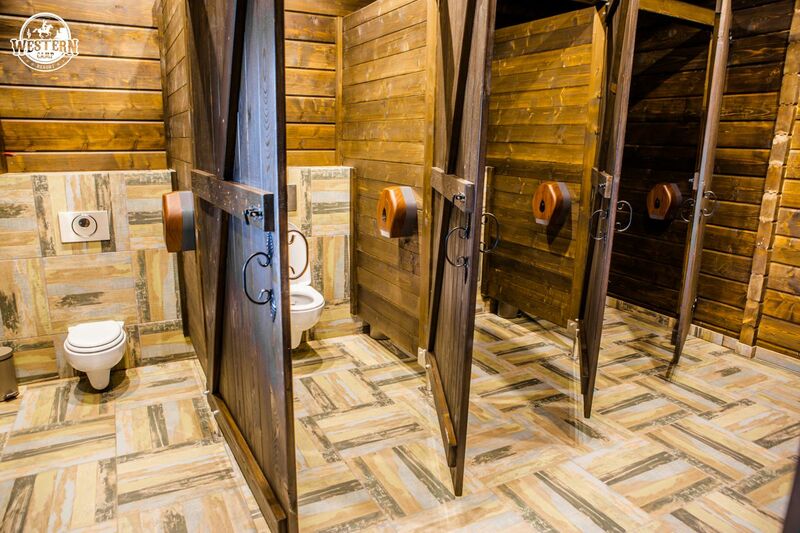 It is a perfect place for guests who want to feel how the real cowboys lived, but who at the same time want to spend the night in comfortable conditions. 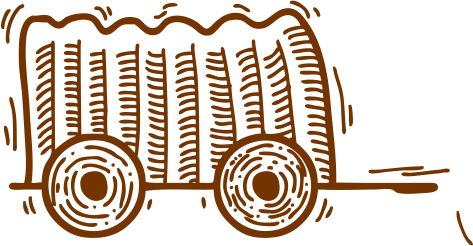 The wagons are equipped with all amenities necessary. 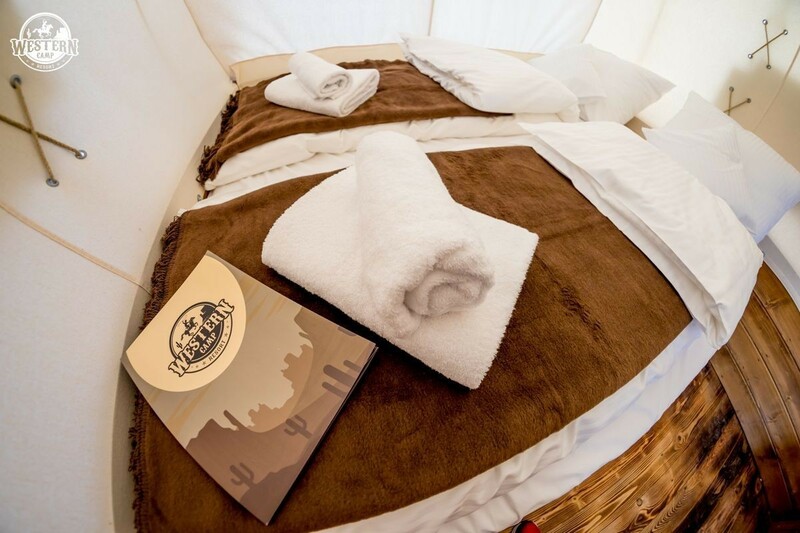 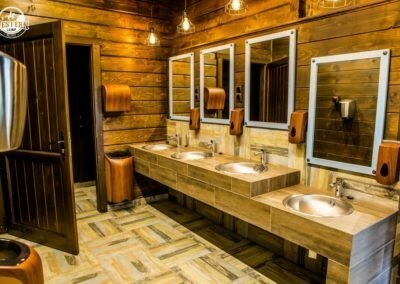 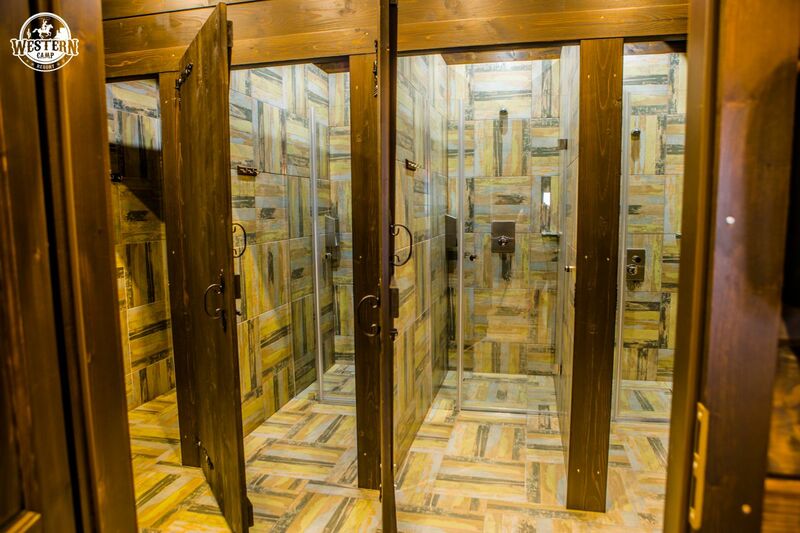 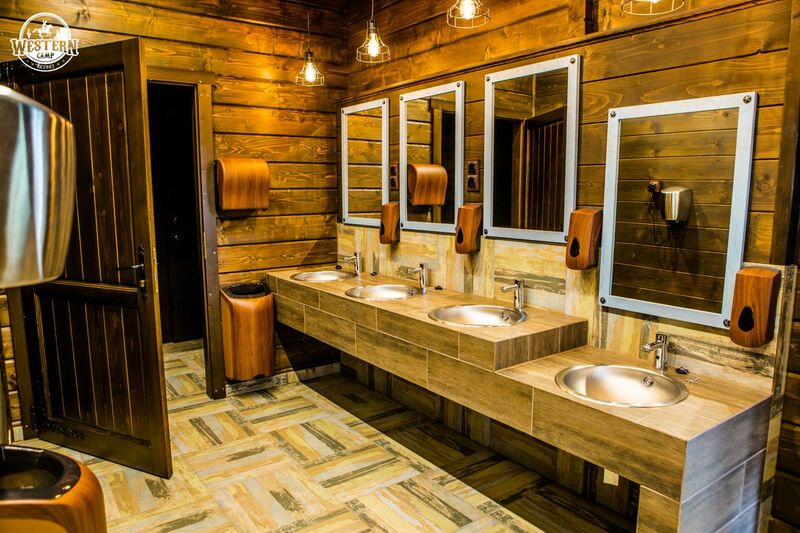 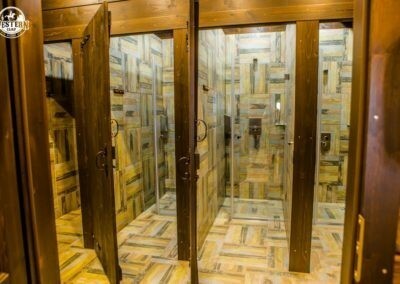 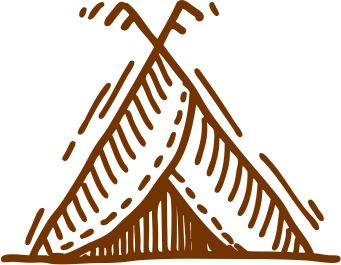 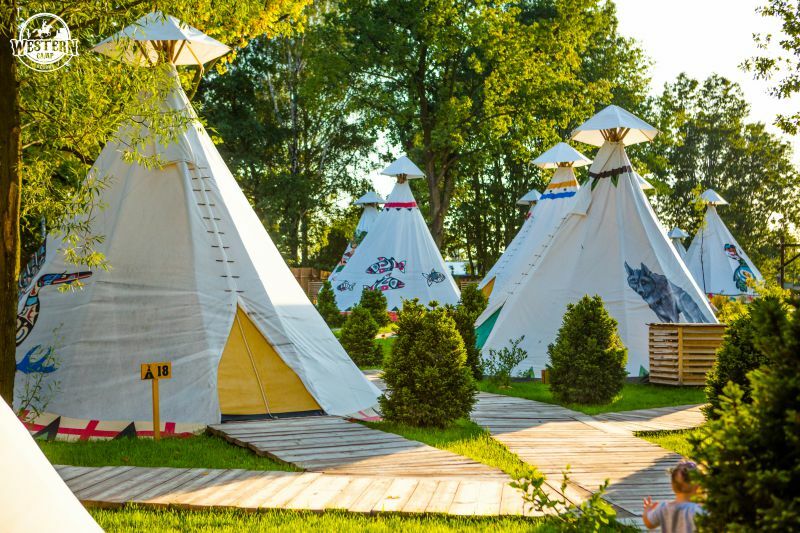 Additionally, toilet and washing facilities are available for all the guests staying in the wagons, including showers, toilets, washbasins and hairdryers. 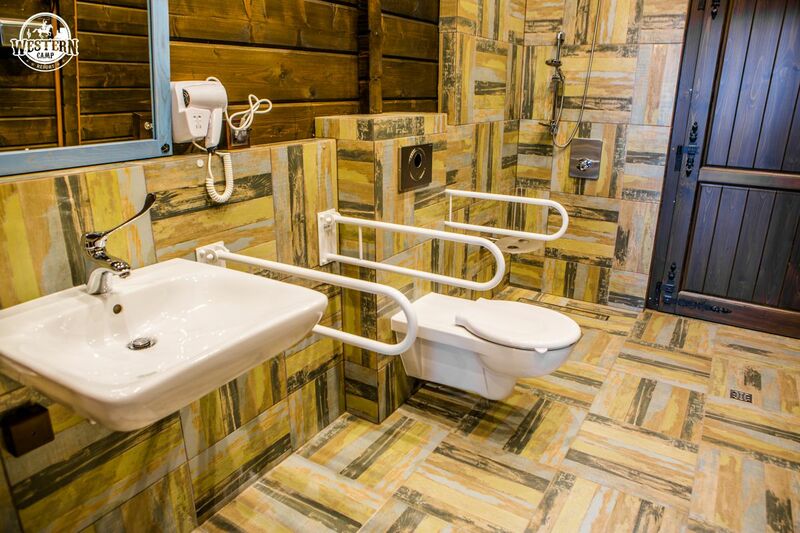 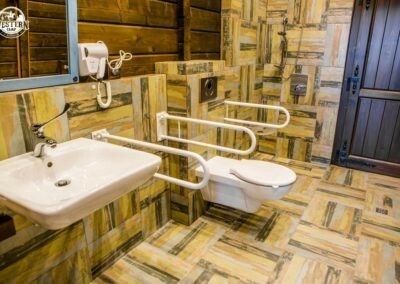 The toilet and washing facilities are adjusted to the needs of persons with disabilities. 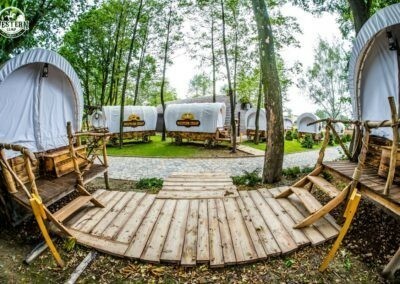 See what unique cowboy wagons look like!